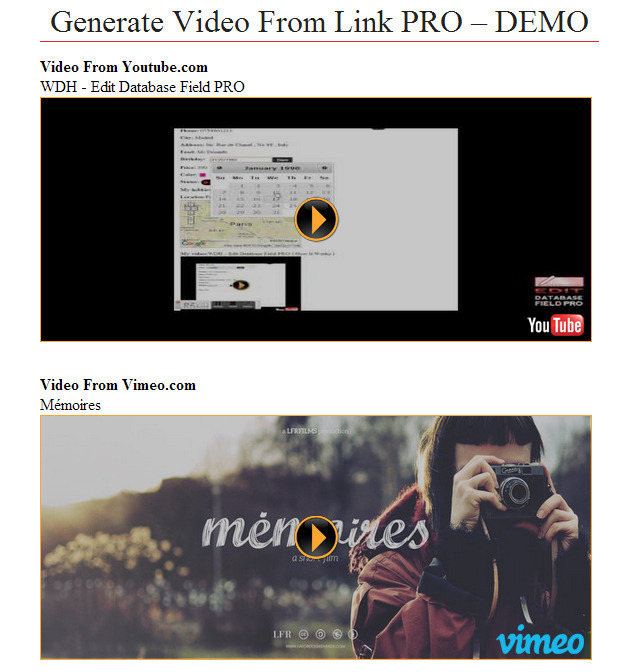 Generate Video From Links PRO is a wordpress plugin which generate video players from links. 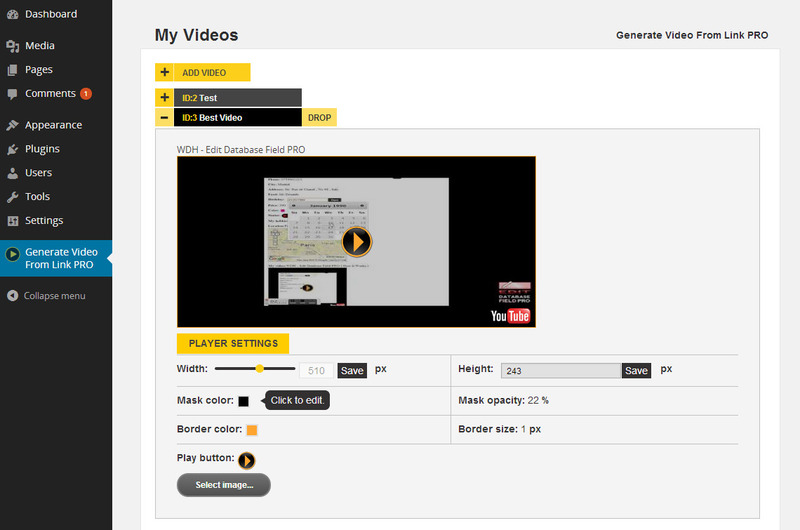 (video website: youtube.com, vimeo.com, dailymotion.com and metacafe.com.You can create your own video player style for every video and you also can configurate settings.You will be able to insert it in any page or post. ( select directly from short code generator menu ). This plugin was build with EDFP and make our plugin very easy to customize. If you have any problem or you don’t know how to do something please just go to: http://support.wdh.im and tell your problem. Please rate it if you liked it ! If you like this script, feel free to rate it five stars at your CodeCanyon account in Downloads section. If you encounter any problems, before rating the item, contact us so we can help you fix them.